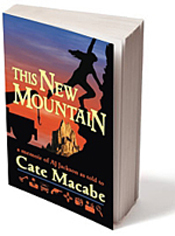 You’ve come to the home of This New Mountain, a memoir of private investigator and repo-mama Vinnie Ann “AJ” Jackson. If you’d like to learn some country wisdom and remedies or be encouraged to face your fears, or if you want to find out how we put the book together, please take a look at our blog. I certainly wasn’t thinking about the meaning of life as I wriggled my fifty-six-year-old body through the driver’s side window of my tow truck and tried to make it onto the banged-up hood of my next meal ticket. At that moment, I worried more about slipping into the tight space between my truck and the pickup I’d come to repossess. Or rolling off the hood and into the jaws of a crazed Rottweiler. It was times like this I wished I still carried my Colt .38, but I learned the hard way you don’t put a weapon of any kind in the hands of a redhead who can’t trust her own temper. The Rottweiler jumped and lunged. It foamed at the mouth and sliced deep grooves along the edge of the fender before sliding backward to the ground. It jumped again and slid again. I stood up on the repo’s hood and tried to catch my breath, and watched the dog foam. A dust devil, tall and narrow, spun across the mesa to the south. It threw chunks of the New Mexico desert into an unbroken sky too blue to comprehend. Ghosts of slate mountains edged the horizon. This was the kind of day to spend sitting in the shade of my back deck, feet kicked up on the railing, listening to cicada song. Iced tea, homemade salsa, chips. Yeah, that would’ve been perfect, so would winning a million dollar lottery. Neither would happen any time soon. In the cab of my tow truck, Maxine, helper of the day, yelled to high heaven. Her voice carried over the dog’s growl and the idle of the tow truck’s diesel engine. The only thing I understood clearly was a lot of, “Annie!” this, and “Annie!” that. I couldn’t tell if she was mad at the dog for coming after me or mad at me for being so slow. Probably both. The owner of the old Silverado was out of sight. Maybe he cowered in the dilapidated mobile home just twenty feet away. He was probably still laughing at my contortions while he peeked through the shabby curtains that hung lopsided from his living room window. One of Mama’s famous sayings came to me at that moment as they often do throughout my days, “Gotta make hay while the sun is shinin’.” I listened to that country lesson whispering in my mind, then pulled the Authorization for Repossession from my back pocket. I squatted down and squinted through the cracked windshield at the VIN. I normally hook a vehicle before verifying it’s the one I want. Saves a lot of time and trouble. Possession is nine-tenths of the law after all – once I’ve got the repo hooked up, it belongs to me whether or not it’s still on private property. But the Silverado didn’t have tires, or much of anything else still attached to it. Barrel-sized weeds, almost dry enough to be tumbleweeds, grew around its base. The truck hadn’t run for months. Before I made the effort to find a pair of spares for the back, I needed to call my client and ask if he still wanted the piece of junk. Maxine stopped yelling when I climbed onto the cab of the repo. I held my cell phone over my head, making like a human antenna. The trailer city of Meadow Lake was one of the last places on earth a cell signal reached on a regular basis. The nearest neighbors lived miles in any direction, and if they happened to see my predicament, they’d most probably cheer for the other side. No pessimism here, just simple fact. In this little back roads part of the world, xeriscape meant desert grasses growing wild around abandoned cars and mounds of trash. It’s the kind of place where parents don’t let their children go outside alone unless they want to give the gang members who reign here a new toy to play with. While I stood there on top of the cab, in circumstances no normal person would ever find herself, the same thing came to mind that always grabs hold of me when I find myself so occupied: “This is absolutely the last time. When I get out of this, never again.” Too many things battled for time and attention in my life, health and finances among them. I just didn’t need another day like today…. Met A.J. Jackson in Hawaii. Had a great conversation with the lady. I am definitely going to order the book soon as I get back home. If the book is half as engaging as she was I’m sure it is a good read. I think she must have told me half the stories from the book and I was enthralled. Can’t wait to read it. AJ is unforgettable, and she’s a great storyteller. Definitely let us know how you liked the book. Thanks for taking the time to stop by! 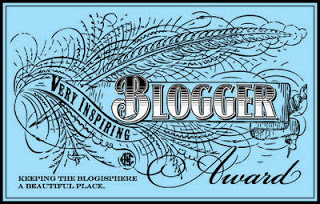 Hi Cate I’ve nominated you for a 7-in-1 Blog Award which goes live this Thursday on http://selectionsofreflections.wordpress.com/. Good luck with This New Mountain and thank you for guesting on my blog too! Thank you, Diana! I’m honored to be nominated for this award. You did a good job with this excerpt, Cate. I felt like I was there. Thank you, Janalyn. It was difficult to choose which one of AJ’s real-life adventures would start the book, but I finally decided this one was the best introduction to her and the dangerous life she lived as a private investigator and “repo-mama.” If you want to read the rest of the chapter (and part of the next), go to Amazon and use the “Look Instead” feature. Thanks for stopping by! It was well written and I felt I was on those adventures with Ann as I read them. This book takes you to a place you didn’t know about or would ever know. The people talked about in this book gave me an insight to how a person’s life is affected by those around them, and how that person affect’s their life in return but in a positive way. I could not put down this book until it was finished. I recommend this book as a read that will make you stop and look in the mirror. You may think for a moment about how you have conducted your life, but still be true to yourself. Thank you, Wayne. I tried to stay true to AJ’s voice throughout the storytelling process, to bring readers along on her adventures. I’m glad you enjoyed the book. Congratulations! I haven’t read it yet, but look forward to doing so soon. I’m happy for you and proud of you. Thank you so much! I hope you like it. When you finish it, come back and let me know what you think. I read this book & it is really good. I’m glad you liked it! What was your favorite story from the book?